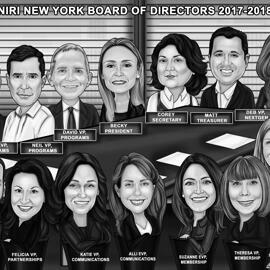 Take advantage of our corporate gift ideas for employees or their boss as hand-drawn personalized caricature from photos of any amount of company staff members. The aim of each company is it's development along with prosperity of it's employees. Thus, we offer you to order the best caricature drawing as a symbol of union and power, which will make the best gift for Company Owner on Retirement, Birthday and any other Professional Day. We support our customers with any desired idea as well as we aim to make your drawing as looking professional from point of view of our artists. Mention your idea in the requirements box below and send beautiful images of people whom we have to depict. If you would like to order a caricature more than 20 persons, then don't hesitate to contact us, because all additional necessary details will be discussed further. 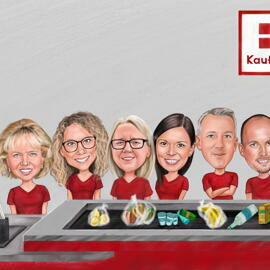 Caricature drawn by pencils will be delivered as a ready to be printed JPG File to your Email. Additional delivery options: Original Drawing on A4 or A3 Paper, Caricature printed on Canvas or Caricature printed on Photo Paper. Worldwide shipping is available.